The best party of the year - Fire & Ice at London ICE! In February, the whole iGaming industry meets up in London. 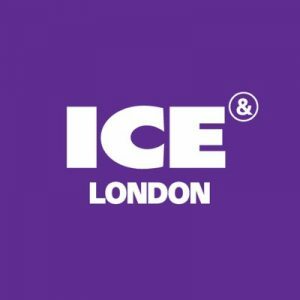 In fact, for the 18th consecutive year, the London ICE conference will take place. This year the event starts on February 5th. And the best of all is, of course, the Fire & Ice party which is on February 6th. In fact, year after year industry professionals meet up for a drink or two to discuss the latest trend and upcoming projects. And the Fire & Ice party is the best place to do that. Indeed, this one of a kind event embraces what the industry is about, work hard and play hard! And this year the party promises to be better than ever with 21 sponsors! So let’s have a quick look at what people can expect at this year’s Fire & Ice party! To sum up, this year the Fire & Ice party will have an 80’s Rock Theme! In fact, Lyceum Media who organises the event every year promised that this year, the party would be better than the previous year. The event organiser said they’ve hired over 100 actors’ technicians and musicians for the evening. And in the latest press release, they added. “Fire & Ice Rocks will explore the Rock culture of the early to mid-1980s’ Glam Metal scene. Plus, how it was influenced in part by the Hollywood Vampires, rock stars and actors. These trendsetters help to define the LA Rock Scene. And all of this from the private drinking room at the Rainbow Bar and Grill in LA,” said Michael Caselli from Lyceum Media. The Fire & Ice party sure is an evening not to miss! In fact, most game providers like Red Tiger Gaming, Gamesys, and Habanero will have a VIP table to discuss with online casino operators and ink up new deals. What’s more is that some online casinos, like Metal casino, will also have their own VIP area too. So “Fire and ice” is more than a party! It’s the best mingling event in London, and you’d be surprised how many deals will get sign there that you as a player will benefit from!